Holiday gobo projections are used to inspire and celebrate in people’s homes, offices, commercial and public spaces. Our job is to help you both design your own custom gobos and to create a wide variety of original images to decorate your space. We take this job seriously and have a team of talented graphic designers who draw each and every gobo image by hand before it’s translated onto a glass, metal, or film gobo. Before our designers put pencil to paper, we conduct research to identify what our customers are looking for in a holiday gobo. Where will the gobo be projected and how large will it be? Do our customers prefer patterns or stand-alone images? What are they trying to achieve through their projections? What type of environment are they trying to create and what reaction should it illicit from viewers? 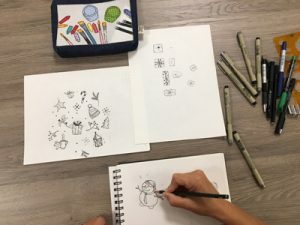 Once we’ve answered these questions, the designers sketch countless drawings to try and capture what the research has revealed. These drawings are then etched onto a gobo. We typically make our holiday gobos from glass because glass allows for more detailed designs and results in the highest quality image across applications. For glass gobos, the designs are etched onto the disc using lasers to create a perfect replica of the original sketch. We deeply value originality and attention to detail, both essential components of quality products. Every year, you can count on new, inspiring designs from our talented artists to meet your changing needs. 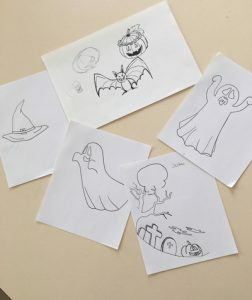 From spooky Halloween scenes to heart-warming icons for Christmas, Hanukkah, and more, our designs will continue to delight and inspire year after year. And what’s new this holiday season? We’re glad you asked. 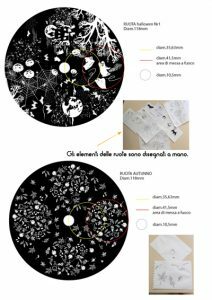 Our graphic designers at our sister company in Italy recently created a new Halloween effect wheel. We also have a variety of effect wheels for the winter holidays. Find them here. Posted on October 19, 2018 by gobosour. 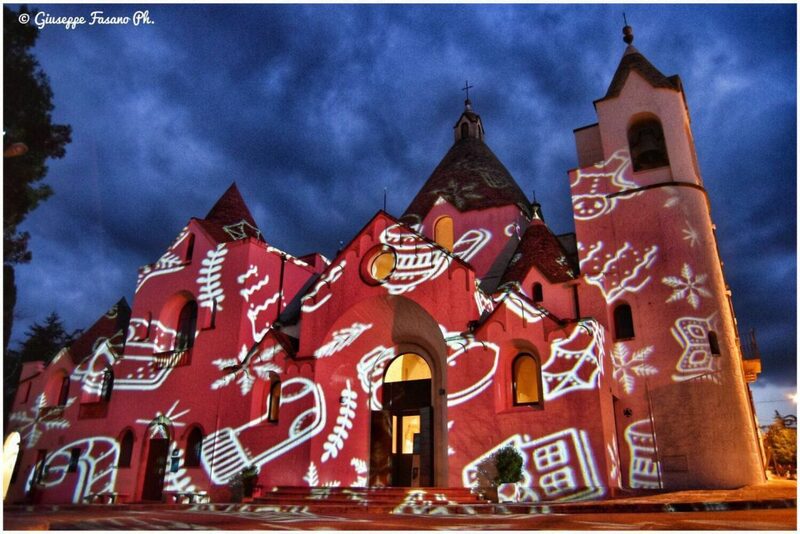 This entry was posted in Design and tagged full-color gobos, gobo, gobo design, gobo patterns, holiday gobos, holiday lighting, holiday projections, lighting effects, outdoor projection, stock gobo. Bookmark the permalink.